David B. Harris Director, International and Terrorist Intelligence Program, INSIGNIS Strategic Research Inc. Since at least the mid-1990s, when alleged Saudi Al Khobar Towers bombing conspirator Hani al-Sayegh reached Canada, it has been clear that Iran's Hezbollah terror organization is operating here. Hezbollah has conducted targeting reconnaissance in Canada and its operatives have flown its flag in increasingly muscular demonstrations in major Canadian cities. With growing consternation, many Iranian expatriates in Canada have warned about this threat and of Iranian diplomats' scheming in this country. And these expatriates have expressed related -- and increasing -- concerns about what they view as Iran's expanding "Fifth Column" in Canada. The school's curriculum, which it has now taken off its website, referred to "crafty," "treacherous" Jews and contrasted Islam with "the Jews and the Nazis." The passages were from two books published by Iranian foundations. 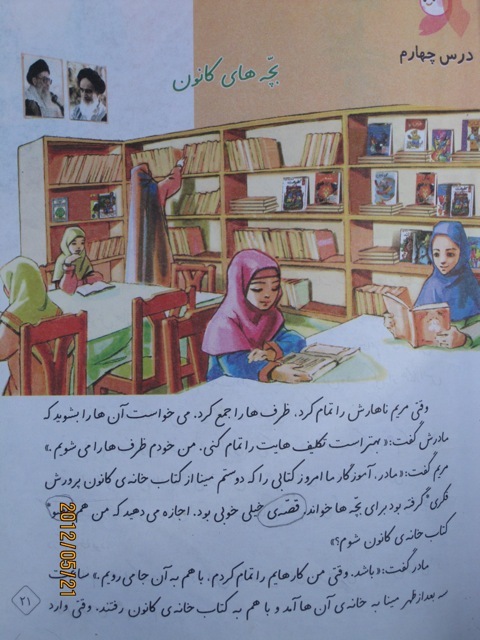 The booklets also told children that Islam was the "best" religion, and provided a list of "unclean things," including pigs, dogs and "a person who does not believe in Allah." It said boys should be "healthy and strong" so they would be "ready for jihad whenever the time comes for it." Girls, meanwhile, were told to limit their involvement in physical activities and to instead engage in hobbies that would prepare them to become mothers and wives. 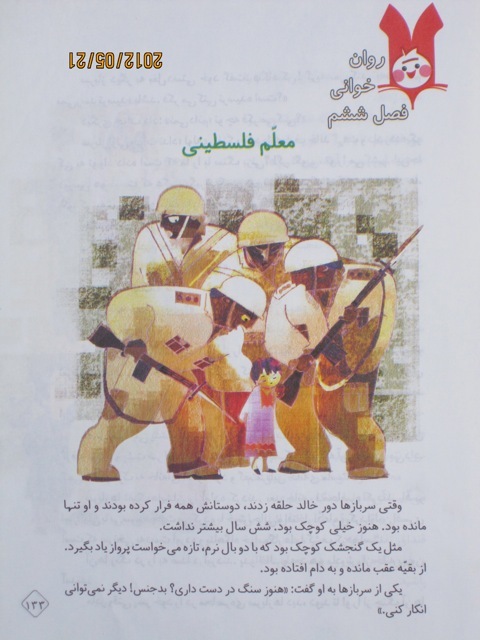 The Toronto incident, however, is not an isolated one: Another program, this one offered in an Ottawa public elementary school, relied on similarly controversial materials -- materials which were quietly removed last year after complaints from local Iranian Canadian dissidents. Immigrant sources say Iranian embassy sympathizers and collaborators shaped and influenced a weekend Iranian language and culture course offered by the Ottawa-Carleton District School Board (OCDSB), on the premises of the board's publicly-funded Lady Evelyn Alternative School. 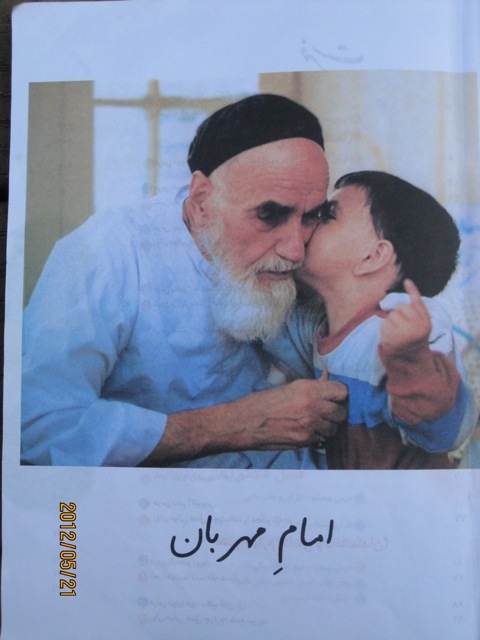 The course was attended mainly by children of Iranian background. The school describes itself as "a nurturing environment" and prides itself on its "diverse, multicultural population." Meanwhile, a cartoon with racist overtones depicts hunched, ogre-like brown-faced Israeli soldiers -- dead-ringers for the common Islamist description of Jews as "sons of apes" -- menacing with bayonets a diminutive, light-skinned Palestinian child. 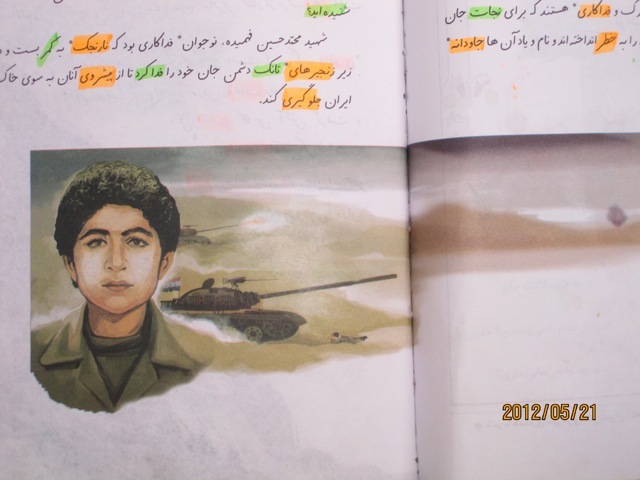 The associated fictional story tells of six-year-old "Khaled," a Palestinian child who teaches brother Mohamad, age three, to stone Israeli soldiers. Here is how precocious Grade 3 weekenders were prepared for Canada's bridge-building multiculturalist future: "The Israeli officer hit Mohamad's head with his gunstock and his warm blood splashed over Khaled's hands." Yes, Grade 3. Two blocks from Colonel By's scenic Rideau Canal, and schoolkids under the Ottawa-Carleton District School Board (OCDSB) were learning to strive for martyrdom. Remember, it was under Khamenei's leadership that Iran's fraudulent 2009 election took place, triggering mass protests and murder by Khamenei's henchmen. One of Khamenei's legacies -- apart from his hatred of the West -- is the video image of Neda Agha-Soltan, the young woman who was lying bleeding to death, after security forces fired on a protest. Then there is the butchery in Syria facilitated by Khameini's military and other support of Damascus dictator al-Assad. Into the disgraceful public school situation, however, came a voice of conscience: Shabnam Assadollahi, award-winning journalist and human rights worker. An Ottawa immigrant settlement counsellor who had survived as a 16-year-old political prisoner in Tehran's notorious Evin prison, Assadollahi managed to escape to Canada. She recognized the text books as extensions of Tehran's efforts to groom a Fifth Column in our midst, and did her duty by her adoptive country, repeatedly remonstrating with Board and school officials about the books -- without noticeable result. Assadollahi even reported the issue to the RCMP, which seemed not to have accelerated things. 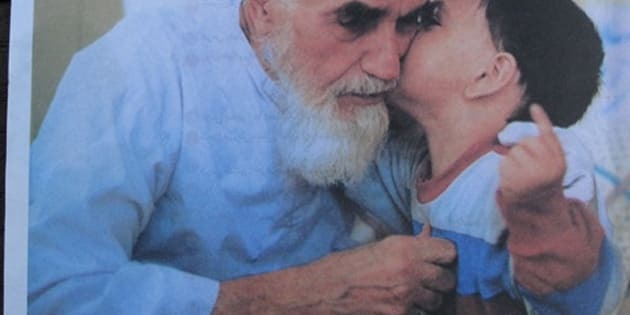 For two years -- as Ottawa children were exposed to Iran's textbook poison -- officials avoided meaningful action, perhaps preoccupied by the risk of political and career embarrassment, and the possibility of alienating Iran's embassy and the increasingly influential, immigration-driven demographic of radical parents. Finally, the use of the offensive books quietly ended in 2011. When contacted by Huffington Post Canada about the usage of the books, Charlotte Hunter, spokesperson for the OCDSB, acknowledged that the board had been approached in the fall of 2009 by "an individual with concerns about a book being used in our Persian international language programs at Lady Evelyn Public School" and that the controversial textbooks had been in use. Immediately, we asked teachers to stop using the books in class so that we could look into the concern. We investigated six levels of books. The review was conducted by a Persian-speaking curriculum services consultant and a team from Continuing Education. We did determine that a small number of images and one story were not appropriate to the Canadian context, and they were removed from the book. The teachers were also reminded that best practices is to use a variety of resources that are both age appropriate and appropriate to the Canadian context when delivering an international language program in Ontario. As already shown, the problem with the Board's Farsi course went considerably beyond "a small number of images and one story" specified in this official response. Aside from the hate material outlined in this blog, there was other text content that pushed Shia Islamic religious themes and seemed to idolize norms associated with Iran's regime. Few such things seem "appropriate to the Canadian context," especially if that context refers to a transparent, accountable, publicly-funded school system in a liberal democracy. Contrary to the Board's claims, more than one person asserts that the texts were in use for the best part of two years. And more than one person made representations to the Board. Hence, Assadollahi's question resonates: "Why did Ottawa school officials fail so abjectly, for so long, and despite so much evidence, to defend our children from Tehran's manipulation and hate propaganda?," she asked in a recent interview with me. And a year after the books were ditched, Ottawans and other Canadians still have no adequate public accounting of the behavior of the school, the Board and, for that matter, the Iranian embassy and those of its friends who may have facilitated this "education" -- whether from inside or outside the educational system. Who allowed Iran to infiltrate the nation's capital's school system? Who oversaw and administered this arrangement and why was action not swift, sure, public and condemnatory? To what extent was it an inside job? Is it true, as some Iranian Ottawans fear, that Iranian embassy-backed "Canadians" are now trying to get pro-mullah teachers into Farsi language courses at secondary and post-secondary school levels? Yes, the text books are apparently no longer in use at the Lady Evelyn Alternative School. But this, combined with the Toronto District School Board episode, means that we need a public accounting to determine how many schools are opening their doors to these kinds of hateful teachings. And we must determine the accuracy of reports that since the discontinuation of the textbooks at Lady Evelyn, some radical Iranian Canadian parents in the nation's capital have simply diverted their children to programs at Iran's embassy or cultural centre. Do course offerings there include hate material? And are there other similar programs still operating in public school facilities that we, or the parents, simply don't know about? The pernicious influence of the Iranian regime does not stop at the public school either: Iran sends bursaried students to study in Canada. Bursaries can be an indication that Tehran regards these people as ideologically reliable. Those students with links to Iran's government take orders from the embassy and join certain Iranian "student groups" which then corner and silence pro-democracy Iranian-Canadian students at universities and other institutions. Foreign students often apply for and receive citizenship in Canada, where they are as entitled as any other citizen to find work in sensitive government and other institutions, influence policy and sponsor further immigration. The Harper government must take immediate action to deal with Canada's vulnerability to Iran and her subversive handmaidens. Shutter Tehran's diplomatic missions here. Put Iran's Revolutionary Guards on the terrorism list. Freeze assets of the mullahs' many friends in Canada. End student and other exchange programs that enable the regime to manipulate and intimidate Canadians, while offering little genuine prospect of opening the dictatorship to civilized norms. Work with provinces to penalize Canadian academic institutions offering programs in Iran, programs tending to legitimize regime-approved institutions and faculty enforcers. Ministers, deputy ministers and other public officials -- including in education departments -- must be held strictly accountable for defending institutions in their trust against infiltration. Authorities must pay attention to warnings of Iranian expatriates about Tehran's targeting of courts, police and other aspects of Canada's legal system, for penetration and manipulation. While remaining open to bona fide refugees, we must heed recent calls of Raheel Raza and other moderate Muslims, to suspend immigration from terror-producing countries like Iran. Harper must stop enabling Immigration Minister Jason Kenney's penchant for gigantic, recession-era immigration influxes -- the biggest per capita in the world, at 250,000 immigrants per annum, over 500,000 newcomers yearly, including visa-holders. These enormous numbers -- 60,000 Iranians settled as permanent residents in Canada in the past 10 years alone -- while allowing in many legitimate immigrants, of course, still present a virtually insuperable security challenge, where Canada's finite screening resources are concerned. It is unconscionable to import vote banks at the price of public safety and national security. The RCMP, too, must undertake a root-and-branch assessment of its community outreach program from the counterpenetration standpoint. This, especially after revelations in 2010 that a community member linked to Iran's embassy cultural centre, convinced an unwitting RCMP officer to advertise an apparently Iranian regime-influenced "peace conference" in Ottawa. Ottawa police should assure citizens that its recent consultation initiative with what it labels "the Iranian and Arab Communities" -- as opposed to "Iranian-Canadian and Arab-Canadian Communities" -- has involved only those police officers and community representatives whose respective histories have been properly vetted for connections to Iran's regime. The Ottawa school board mess suggests how easily the wrong causes and persons can be legitimized by failed diligence and questionable facilitators. People like Assadollahi must be embraced in Ottawa police and other authorities' outreach and consultation processes, lest reasonable suspicions develop about behind-the scenes machinations. Police service recruitment must take into account the infiltration problem. The media can do better, too. Reporters should educate themselves about Islamist and Iranian penetration, especially in light of radicals' calls for their allies to move into Western journalism schools and newsrooms. Scepticism has its place when tolerance-prescribing self-declared "moderates," like charming Swiss Islamist Tariq Ramadan, moonlight as fixtures of the Iran regime-funded PressTV - and then are feted at Carleton University and comparable institutions. And where Canada's Iranian democracy movement is concerned, media must listen to warnings from Iranian Canadian democracy activists like Toronto lawyer Sayeh Hassan. Hassan cautions that Iranian Green Movement leader Mir Hossein Mousavi, who makes points with Canadian media as an anti-Ahmadinejad "reformer," is, at bottom, committed to Iran's Khomeinist governance model. True democracy dissidents in Canada consider that Mousavists among us are trying to hijack the genuine Iranian-democracy movement, with a view to tamping down calls for the really serious, deep-seated changes that are required in Iran and in the interests of international security in a nuclear age. As many Iranian Canadians have long warned, hostile elements are metastasizing in our midst. Without resolve and prompt action, they will grow in number and strength, ultimately undermining Canadian sovereignty and costing Canadian lives. In a recent conversation, Canadian Homa Arjomand, many of whose friends were murdered by the regime in her Iranian homeland, catalogued a seemingly endless series of clandestine and subversive Islamist and Iranian Government activity in Canada. Her bottom-line warning to Canadians about all this? Arjomand's voice grew urgent. "It's coming close to your house; it's coming close to your home," she said.